This talk considers new forms of digitally based documentation in recent artwork. The speaker examines the concept of "forensic aesthetics" in relation to two pieces: Sarah Vanagt and Katrien Vermiere's The Wave (2013) and Effi & Amir's The Vanishing Vanishing-Point (2015). 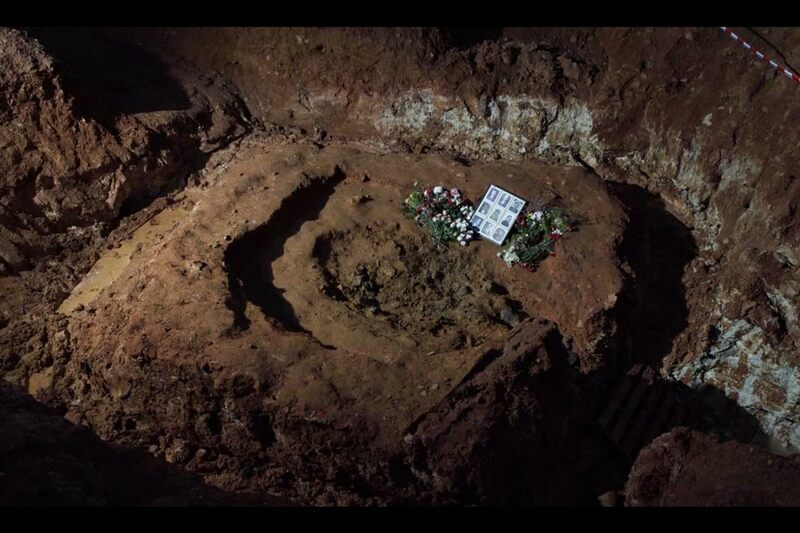 In the first film, the Belgian duo (a filmmaker and photographer respectively) animate together 32,000 digital stills in order to document the recent exhumation of nine men massacred by the dictator Franco right after the Spanish Civil War. The end result is a stunningly alive picture of the land and how it has been scarred. In the second film, Effi & Amir (an Israeli pair living in Brussels) use digital imaging techniques such as Google Earth and Google Street View in order to document the death of a Mediterranean olive tree that was transplanted to the Brussels EU neighborhood and could not survive the inhospitable winters there. Both artworks use and analyze digital-archival materials in order to expose the State’s culpability in creating long-lasting socio-environmental violence. ship to Collectivity in Contemporary Art, which analyzes artistic visions of a changing European identity based upon intercultural, translocal affiliations, with a close look at the practices of Harun Farocki, Thomas Hirschhorn, and the artist collective Henry VIII’s Wives. Her broader research and teaching interests include postcolonial theory, global migration, ecological aesthetics, state violence, and an underlying commitment to foregrounding how a symbolic-visual field shapes processes of sociopolitical exclusion or collectivization. A collection of essays that she has co-edited with Alexander Streitberger, ThePhotofilmic: Entangled Images in Contemporary Art and Visual Culture (University of Leuven and Cornell Presses), will be published in January 2016.